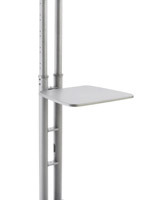 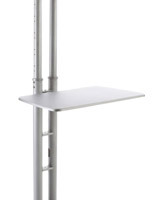 Height Adjustable from 44" - 71"
This plasma TV stand is designed for ultimate portability and mobility. 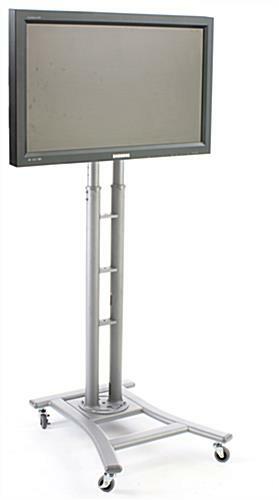 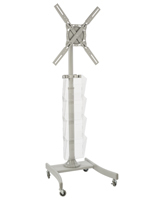 The carts support monitors ranging in size from 37" - 65". 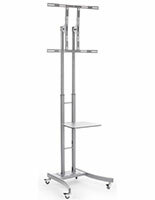 The silver TV stands are crafted from durable aluminum for durability and stability. 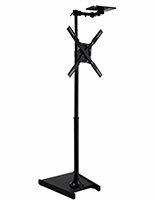 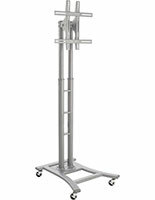 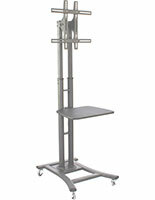 Each height adjustable mount can be placed between 44" and 71" tall based on the 8 preset settings. 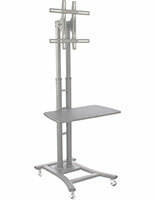 The stands are sold with all necessary hardware and tools for assmebly in any environment. Order for your retail, conference room or lobby today!